When I see a new variety of Apple that I have never tasted before I have to buy it. This morning in Waitrose there was an Apple variety called Daliclass so into the wire basket it went. The colour was yellow, strongly overlayed with red. I bought four. They were evenly sized and firm to touch (end of March). The first bite revealed a medium hard Apple with lots of acidity and juice. Then came an overlay of bland sweetness. My initial impression was reminicient of a French golden delicious trying its hardest to turn itself into a cox. Nothing bad about that, but ultimately the flavour was lacking. All I really got was acid and sweet without any subtlety or interest. 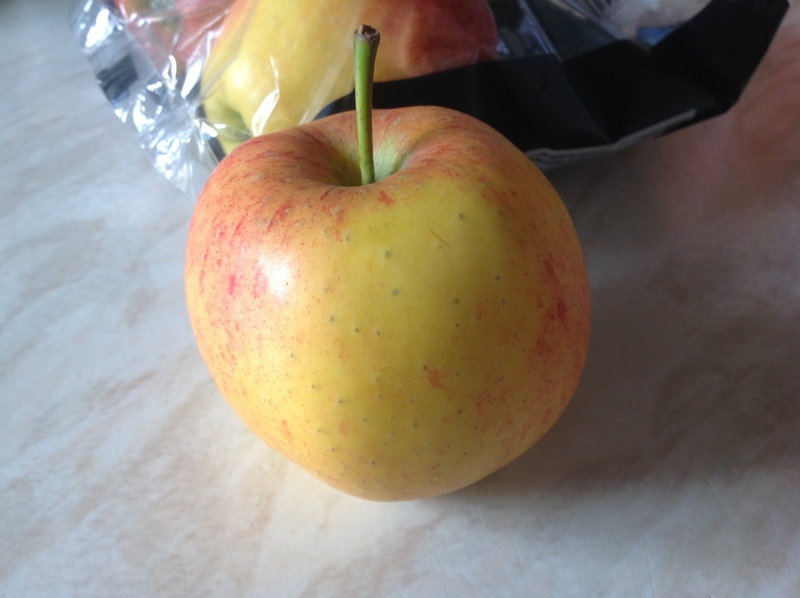 At home I looked up the origins of the Daliclass variety and surprise surprise, it was Elstar, itself a child of the ever present (and unwelcome) Golden Delicious. Thinking about Cider Making, Daliclass would actually blend rather well with some bittersweet varieties and I am sure it is a pretty abundant cropper and stores well, otherwise you wouldn’t see it in the supermarket would you? So if you are looking for a garden Apple, you could consider growing Daliclass, although the world would be a tiny bit sadder as a result. No, dammit, do not plant Daliclass or Elstar or Golden Delicious or any of that rubbish. If you are going to plant an Apple tree, plant an endangered local variety with history and above all flavour rather than something invented by Dutch accountants to ensure profit margins. In summary then, Daliclass is an “all things to all men” Apple that won’t get me excited, next time I see it on a shelf or tree.